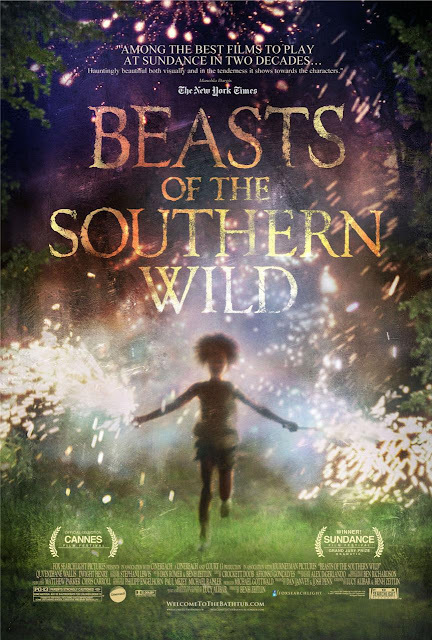 Beasts of the Southern Wild (2012) is a modern American folktale about the struggles of a young poor Louisiana girl. 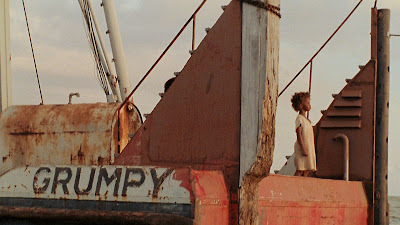 Hushpuppy lives with her father in the tiny community of Bathtub south of the great levee. Bathtub is a happy community that thrives off of fishing in the swamps. 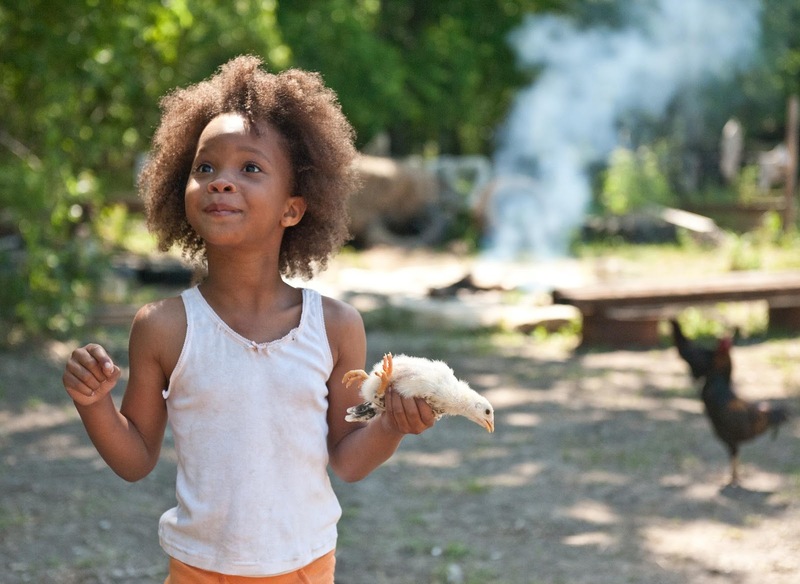 However; Hushpuppy's father is sick and a storm is coming that will change her life. This film is an interesting blend of folktale and the human condition. Though some are calling this a fantasy film, it is extremely light on fantasy elements. It prefers instead to dwell on the human condition and what makes us feel. Mind you, a novel could be written about the imagery, the characters the story and what they all mean (or could mean), but the true strength of this film lies in the fact that you don't need to examine it. I highly recommend sitting back and enjoying your first viewing. 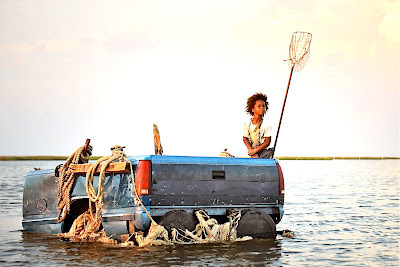 Hushpuppy is a happy-go-lucky girl who lives with her father and many pets on the isle of Bathtub, south of the Louisianan Levy. She's taught in school about how global warming will one day destroy their home and release the primal man-eating Aurochs on mankind. (Mercifully, the global warming thread is not beaten over the head.) Her main concern is her father's well-being and getting enough to eat. She also lives in a wondrous fantasy world that many children enjoy. Wink is a simple man whose favorite thing is reminiscing to his daughter about her mother. 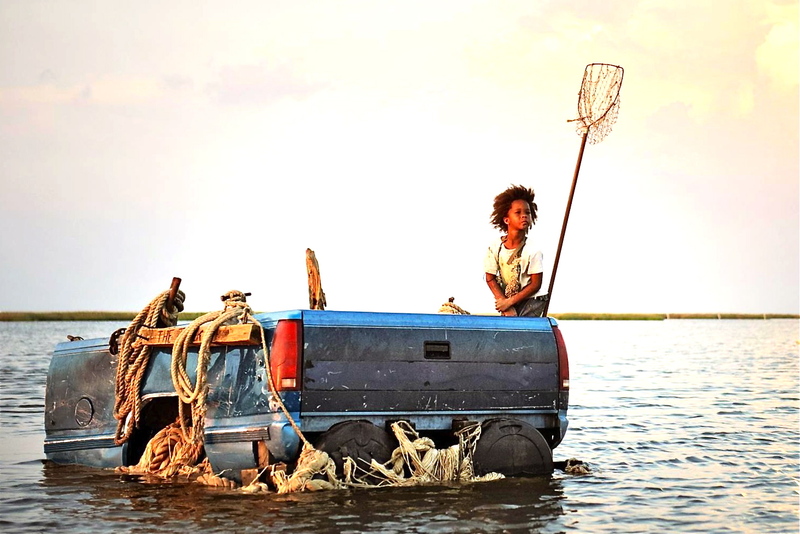 He makes a living fishing in the bayou and will do anything to keep his Hushpuppy safe. The magical realism brought to the lower class lifestyle is simply remarkable. The places are made at once real and fantastic. Even the refugee camp is given kind of a cold purgatory-esque feeling. This is certainly a film that shows great restraint in building the father daughter relationship. It knows just the right moment to deliver a solid emotion filled knockout. There is some clutter, but overall the ending is a satisfying conclusion to this strange little movie (and I mean little in the best senses of the word). This film is not for everyone, but it straddles the line of art and fairy tale film flawlessly. It is a beautiful complex tale that works on multiple levels. See it if you enjoy modern folklore and Americana or are interested in a movie that'll make you think. Tomorrow (and it won't be another week), I'lll try do deliver a non-9/10 film. I have just the one in mind.